Blending the softness of foam with the support of pocket springs, the Sleep Republic is designed to fit the average sleeper. While the medium-firm feel is ideal for side and back sleepers, stomach sleepers can also find comfort due to the gel-infused top layer. 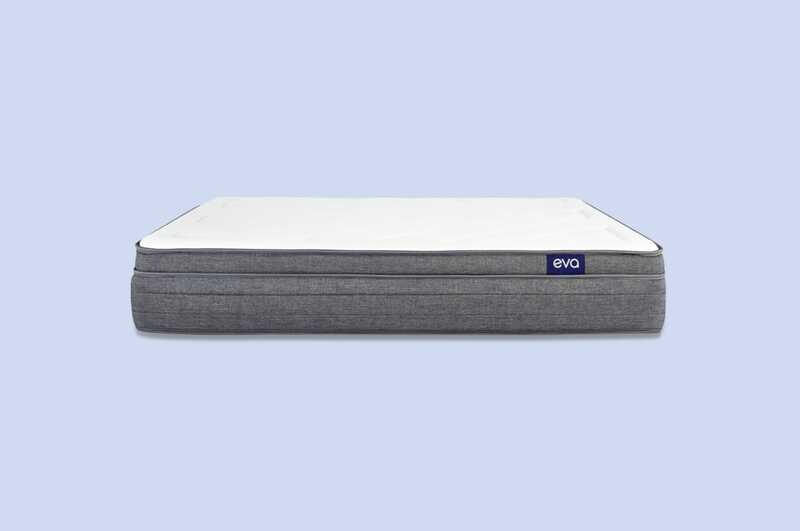 An innovative pocket-spring base makes this perfect for sleepers upgrading from a spring mattress. However, it's also a good option for those needing more bounce and edge support than an all-foam mattress. We created this review to help you figure out if a Sleep Republic mattress is the right fit. Inside, you'll find information from real customers about the feel, firmness, sleep quality, materials, and more. For all of our reviews, we work hard to use unbiased data and share a range of customer opinions. By the end, you'll have a feel for this foam mattress and know if it suits your sleeping habits. 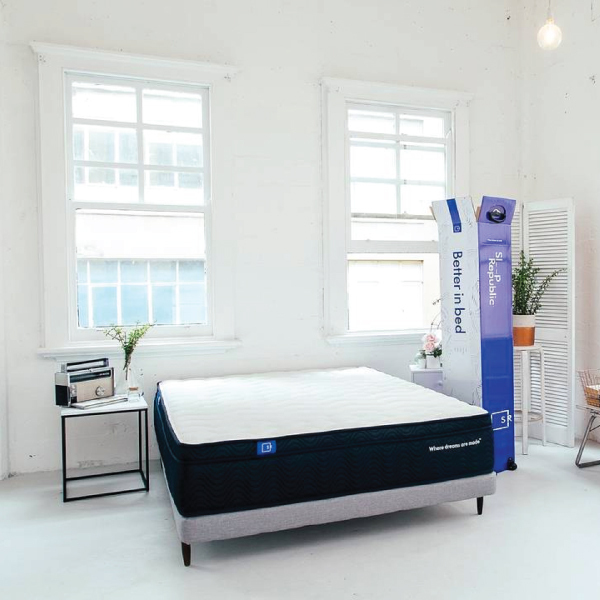 How does the Sleep Republic mattress feel to sleep on? 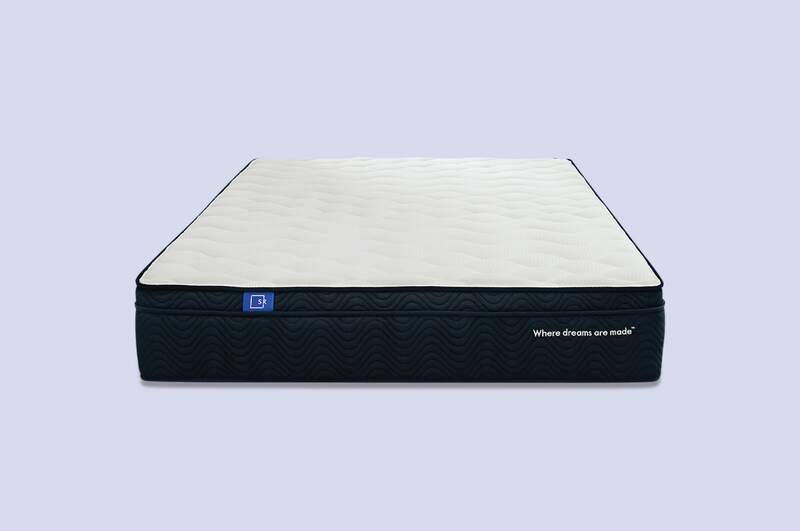 The Sleep Republic combines high-definition pocket springs with comfort foam for a "not too soft, not too firm" feel. Layers of memory and latex give an immediate plush feel. Then, the spring base kicks in necessary support. Overall, the mattress has a medium to medium-firm feel. No mattress is best for all sleeping styles. Your comfort on the Sleep Republic depends on your specific weight and position. 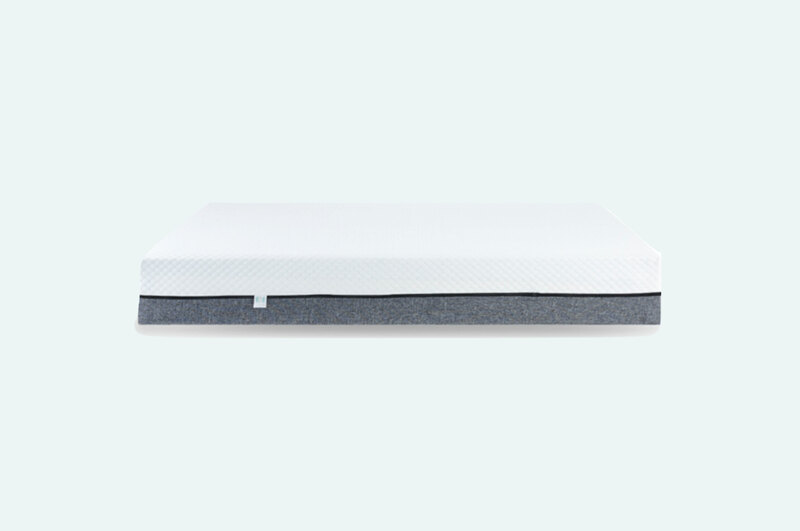 Side sleepers of all sizes enjoy the cushioning foam layers and the supportive springs. This position requires the right balance to contour and relieve pressure on the hips, shoulders, and torso. Back sleepers also like the above-average firmness of this design. The top lets hips sink just enough, so the lower back stays supported. Many customers upgrading from traditional spring mattresses say they wake up with less back pain. It's more difficult to tell how comfortable the Sleep Republic is for stomach sleepers. While this position usually prefers a medium to medium-soft firmness, average to heavy sleepers love the plush top and firm base. It may be too firm for light stomach sleepers, who need extra cushion for sensitive parts. "I have owned this mattress for nearly a year and am still impressed with it. Did a lot of research and glad to purchase this one - and love that it is designed by Australians! Thanks!" — Liz M.
Edge support is where the Sleeping Republic mattress excels. Many foam designs sink in and lack rebound. When you sit on the edge of this mattress, the reinforced pocket springs hold you in place. There will be some sinkage as the top layers of foam compress, but you'll notice a more support if you're switching from an all-foam mattress. Getting out of bed is also easier with increased edge support—an important feature for elderly people or those recovering from surgery. Don't worry about waking your partner when moving around on a Sleep Republic mattress. Traditional spring technology transfer movement, but the pocket springs in this mattress act independently. As you move, they react to your body and barely affect surrounding springs. There will be more motion transfer than an all-foam design, but many Sleep Republic customers have no issues with partner disturbance. 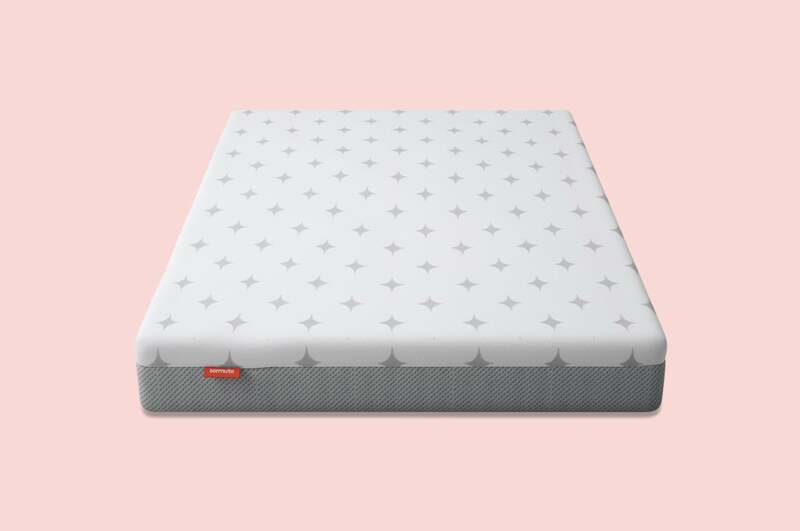 What is the Sleep Republic mattress made from? The Sleep Republic mattress has a standard hybrid construction. Two layers of foam sit on top of a deep pocket spring base. Together, these create a supportive hug that helps you sleep through the night. Below, we share what this means for firmness, durability, and weight. At first touch, this mattress is soft with a luxurious give. The comfortable feel is from two layers—a gel-infused memory foam and a latex. First comes the memory foam. This material is notoriously firm, but mixing it with gel beads makes it more responsive. Customer say it feels like melting into the mattress. Next is the layer of natural latex that acts as a transition between the comfortable foam and supportive springs. Naturally bouncy, latex absorbs pressure and is better at distributing pressure. Underneath the latex is the pocket spring base. These springs are individually wrapped in fabric to decrease motion transfer and prevent noise. Unlike outdated spring mattresses, these springs are smaller and stronger to help with contour. The Queen size has 1,850 springs—that's almost twice as many as hybrid and spring competitors. Keeping these layers in place is a soft, sturdy cover. The top material is a silky, yet durable, cashmere fabric. This natural material is comfortable but tough enough to prevent tears. Wrapping the sides of the mattress is a 3D spacer fabric. Featuring a wave stitch pattern, the design and fabric allow air to circulate through the layers. As we mentioned above, the Sleeping Republic mattress is heavy. Hundreds of steel springs and thick layers of foam come compressed in a box. Once it fully expands, the Queen size weighs 49 kilograms. Although the shipping box has handles to help you move it, it's hardly a one person job. We recommend asking the delivery service to place it somewhere convenient. Then, ask a friend or partner to help move it into the bedroom. Although the mattress is heavy, it's thicker than most foam designs. At 31 centimetres, it has a higher spring base for support and foam for comfort. This thickness is common among hybrid spring/foam mattresses. Luckily, this means it can be placed on the floor, a base, or another suitable bed frame. How much does a Sleep Republic mattress cost? 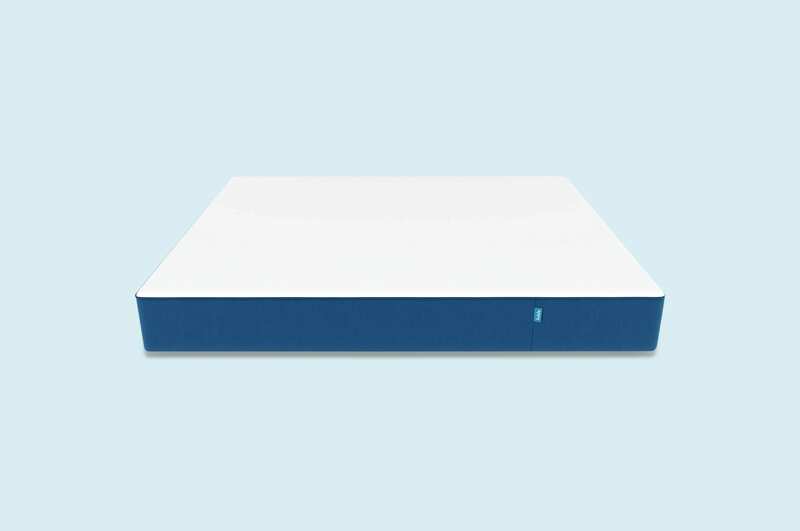 Compared to all-foam models, the Sleep Republic mattress is a great value. However, it is on par with other hybrid spring/foam models. Interestingly, the Single and Double size offer the best value. If you're looking for a Queen or King size, you'll have to pay above the average price. Keep in mind the company offers a 12-year warranty, which is two years longer than most. While online foam mattresses have been around for almost a decade, hybrid spring/foam designs are new to the market. These models are gaining popularity, as sleepers search for a balance between trusted and modern technology. Like most online companies, Sleep Republic offers free shipping across Australia. Every customer gets a 100-day trial period and can easily request a return. If you don't sleep soundly, Sleep Republic picks up the mattress at your home and donates it to the Salvation Army. Who is the Sleep Republic mattress best for? Although customer reviews are rolling in for the Sleep Republic, sleepers of varied sizes and preferences enjoy the feel. We understand all reviews are subjective. However, it's clear side sleepers and back sleepers are most comfortable on this mattress. The luxurious top and strong base offer the best balance. If you're ready to replace an outdated spring mattress and want to give foam a try, this may be the right choice. Remember, there's no risk in trying it for up to 100 days.